Designed by Top Direct Sellers for Direct Sellers! 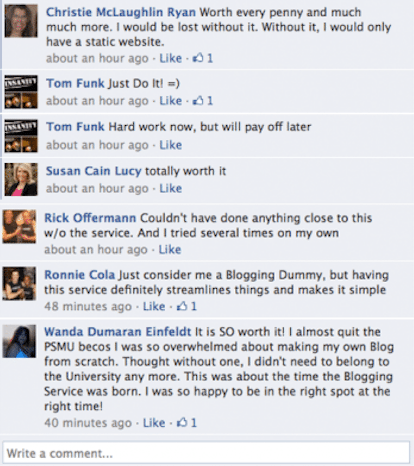 A little bit about the PSMU Blogging Service. The service was created exclusively for Direct Sellers by Top Direct Sellers. It comes with three great templates (themes) for you to choose from. Each is built for you to easily personalize (100% customizable by anyone at any skill level). Each theme also comes with 20+ pages of existing content, built-in lead capture systems with automated email notifications back to you, over $500 in commercial grade extras, our customer service and technical support, security features worth $30/month on their own and so much more. We will also get you started with a whole series of straight-forward tutorials that walk you through what you need to do, step by step. If that isn't enough, we'll answer any of your questions personally. Please rest assured that you don't need to be tech or marketing savvy, just willing to learn. Each blog is placed on a domain you own and reserve through a domain registrar like Godaddy. Blogging Service membership options starting with a 90 DAY PACK for just $57! Register for the Blogging Service 90 Day pack here for $57 (Includes 50% off your first month)! 90 Day Combo Pack Options (University + Blog Memberships together with 50% off the first month), just $125! All PSMU themes utilize the most recent technologies, look fantastic on all mobile and desktop devices and so are super easy to use. 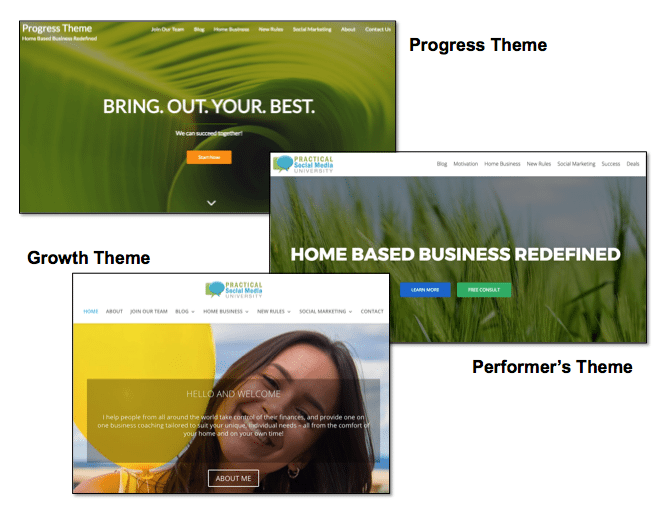 One note of the difference between the three themes is that the Growth Theme uses inline-editing. Inline editing is a means to edit any text on your site's posts and pages without needing to visit a back-end editing screen. You do all of it on the live page!